Nothing brings beauty to a home quite like new, elegant fabrics. And topping the list is silk, a timeless fabric that screams with style. You can bring just a touch of silk into a room, or you can bring more to really up the elegance. For ideas on how to add silk to your home, speak with a trained consultant at Windows & More serving the Lake Ozark area. We’ll be happy to help. When you hear words like timeless, classic, and enduring, you might think of things that span the decades. Nothing speaks to this more than silk. For more than 2,000 years, the Chinese kept the secret of silk to themselves. However, world silk production has approximately doubled during the last 30 years, despite having man-made fibers developed to replace it. This natural protein fiber is woven into the stunning textiles. In addition to clothing, silk is being used for upholstery, wall coverings, rugs, bedding, wall hangings, and even window treatments. There are a number of ways to introduce silk to your home design. Consider adding gorgeous, decorative silk pillows. Designer throw pillows bring selected colors together for a complete, coordinated room. The beauty of silk fabrics alone is inspirational. When you’re ready to make a larger statement, consider reupholstering an old favorite chair. A classic ottoman, loveseat, or chair re-covered in a classic silk fabric will transform your home. Silk is prized for its luxurious natural beauty. It is also considered the strongest of nature’s fibers. It has excellent elasticity and resilience, which helps your custom pillows keep their shape and beauty. Silk is also resistant to mildew and moths; however, moisture, over time, will weaken the fibers, so dry-cleaning is recommended for care. 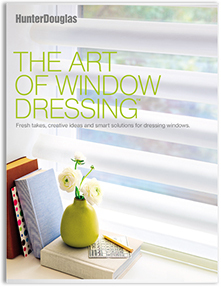 Hunter Douglas Window Fashions offer an extensive collection of over 4,000 fabrics, materials, and colors to choose from. Among them, of course, are beautiful, timeless silks. From silk fabrics to sleek decorative tapes, you’ll find the perfect pattern and design to elevate your décor. 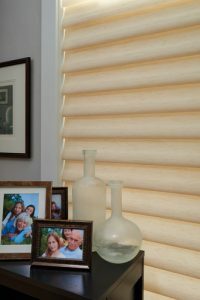 Specifically, take some time to look at the Vignette® Modern Roman Shades Textured Silks Collection, which includes Etched, India Silk, Satin Weave, and Shantung. These beautiful silks have a large range of textures and sheens and are available in a variety of inspirational colors and hues.